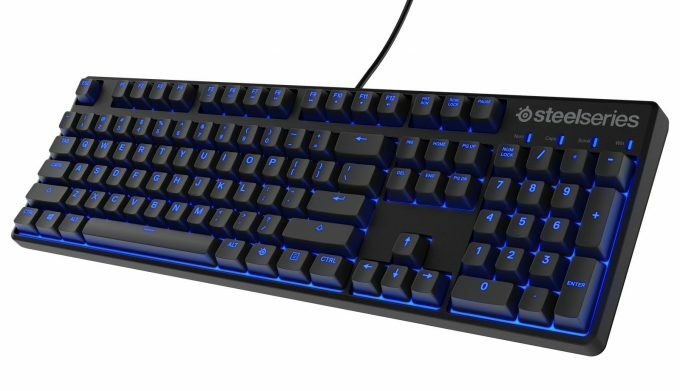 While companies continue to produce new and updated models of mechanical keyboards for different price points, SteelSeries is keeping its latest board simple, yet powerful. While the APEX M500 is a fairly standard board, it’s a refined design that promises to deliver all the essentials a gamer needs to take over the world! Mechanical keyboards have been one of the biggest changes to happen in the peripheral market in the last few years. They started off as very high-end, professional boards that typists would pay $300+ for. Then as patents expired and prosumers/gamers started to get in on the act, the availability of mechanicals have increased dramatically while prices fell. In fact, pretty much every single company you can think of that produces tech products, probably has at least one mechanical keyboard. SteelSeries has been making peripherals for gamers for quite some time; way before mechanicals were a thing. It’s had its share in innovation as well, with fully replaceable and modularized keyboard faceplates, and has been a real innovator in the software stack as well, allowing for completely programmable keyboards (not just 5 or so macro keys, but the entire keyboard). As SteelSeries picked up on mechanical keyboards though, it kept that clean and powerful software interface to let gamers customize their keyboards, but also build something more mainstream in the process. The APEX M500 is a mid-range mechanical keyboard without a lot of the bells and whistles, but still has access to a very solid software stack, to keep it relevant for modern gamers. 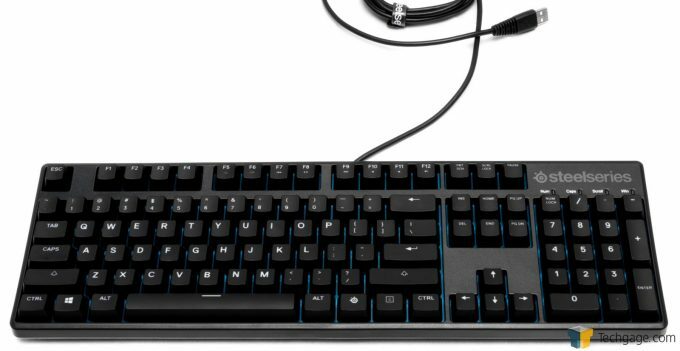 First of all, it should be fairly obvious that the SteelSeries APEX M500 is a standard looking keyboard, with very typical hardware for a modern mechanical. 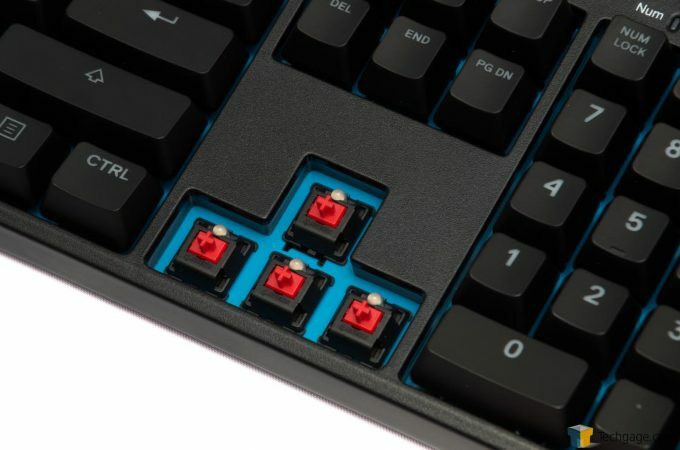 CHERRY MX Red switches provide that low-resistance, instant action, linear feel that’s popular with gamers, along with Anti-Ghosting so you can mash as many keys as you’d like without missing a single hit. There’s some media keys available through a special function key, and there’s a blue backlight so you can game in the dark. It’s not the most exciting thing going, but that’s not the point. This is a keyboard about function for a good price. The keys are inset into a blue backplate that helps disperse the blue light from the LEDs. There’s that smooth plastic coating which makes the keys fingerprint magnets, but are easily cleaned. It provides decent grip for your fingers in long sweaty gaming sessions. The only thing missing from the keyboard is a palm rest, which is unfortunate, but not deal breaking in the slightest. The rubber feet on the underside provide a decent amount of grip, the elevation tabs… elevate, and there is cable routing available too. While the cable isn’t braided like many others in the market, it can exit the keyboard from the left, right, or top with small channels on the underside. Again, this isn’t strictly a keyboard that excites, but it provides what’s needed as a baseplate for the software. We’ve seen many mechanical keyboards over the last few years now, and it’s safe to say that, even though different keyboards may use identical switches (CHERRY MX Reds, Blues or Browns), there can be quite an astonishing difference between the feel of each type. The build quality of the board, its faceplate, whether the PCB is mounted to the front or rear plate, thickness of the PCB, the quality of the plastics or metals – it can all change how the keyboard feels and sounds. One notable difference between a cheap keyboard and a more premium one with identical switches, is the sound the switches produce. MX Red switches are the ‘quietest’ of the main switches, in that it has no additional mechanical element to produce tactile feedback, cutting back on the noise. In a badly built keyboard, the sound can be hallow and reverb around the rest of the board. With the SteelSeries APEX M500, the very first thing I noticed with the board was the solidity of the keys. While each key has that small wobble to it, there was very little noise produced. The keys felt solid, and bottoming out didn’t produce that awful hallow reverb you can often get. It’s only the space bar that produces any kind of odd sound, but that’s common for nearly all boards. It’s hard to describe the APEX M500 any better than ‘solid’; the keys are planted, accurate, and very linear across the entire board. The backlight is even – the blue backplate diffuses the light very well. The key lettering is the new standard top justified type; meaning that all the characters are centered above the LED light, rather than in the middle of the key. The number keys are not reversed, so the special characters are backlit, but the numbers are not, due to being below the LEDs. The software side of things is SteelSeries’ main strength, and something the company has had many years perfecting. It is mostly minimalistic on the keyboard interface, and initially seems to have a rather austere appearance. It’s this simplicity that really helps separate SteelSeries from a lot of other peripheral software stacks. 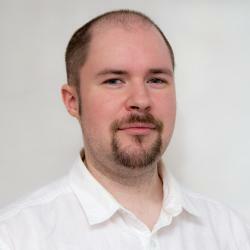 You pick a key, you change its binding, or you assign a macro – it’s that simple. There aren’t 50 different drop-down menus, no endlessly flicking between page after page of settings; it’s all there, right in front of you. 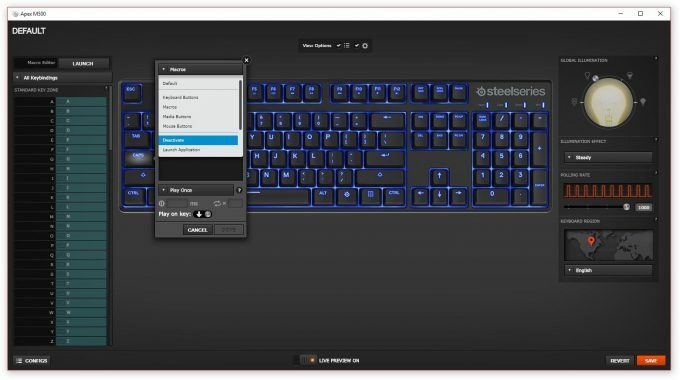 SteelSeries Engine 3 or SSE3 is a universal software stack for all of SteelSeries peripherals – each device you add will be made available for configuration in the main menu. Select a device then modify away. One main benefit is that applications can be added to this main menu, with custom profiles for each; you don’t need to add each application for each device individually. The main interface for the APEX M500 is an overlay of the keyboard, with each key being selectable and modified with the menu to the left, or via each key on the overlay. Clicking either brings up a menu where you can assign any alternate binding, create macros, special OS functions, or even disable the key altogether (your time has come, CAPS LOCK!). One interesting twist is that you are not restricted to Windows only functions, but can cross-assign Mac OS shortcuts and keys. There are also a few options for poll rate, keyboard region, and rudimentary backlight control. 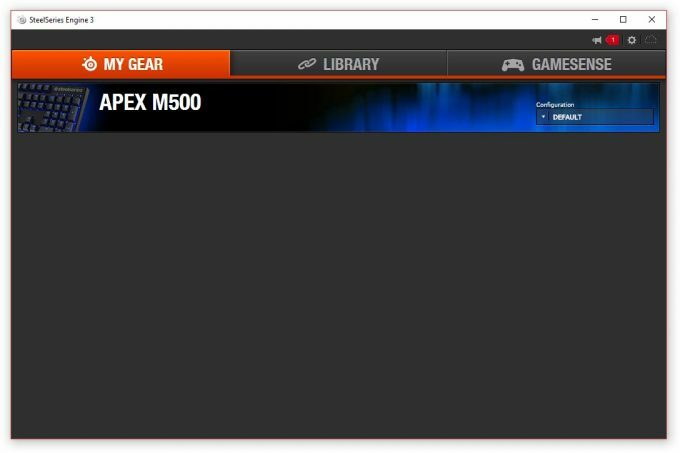 After you have configured the M500 to your liking, plus any other peripherals you might have, all the settings can then be saved via a cloud service to SteelSeries’ servers. Should you drag your peripherals to a different PC, all you have to do is download the SSE3 software, log in to your account, and your profile will be made instantly available again. While many of the individual peripherals no longer have onboard memory anymore, these cloud services are a good compromise – providing you can install the software stack and have an Internet connection. If you decide to skip the software though, the keyboard operates perfectly fine. Media keys still work, you can adjust the backlight level, and Win-key disable works fine as well. The software is optional, but you do miss out on a lot of extra functionality if you don’t use it. Much of what makes this keyboard stand out has largely been said already, but for those that jump to the end to get the short version, it goes something like this. 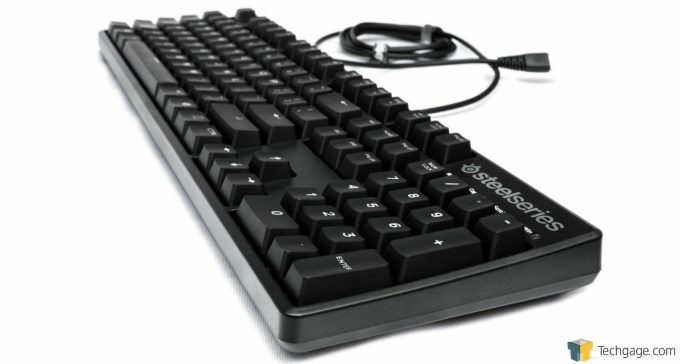 The SteelSeries APEX M500 is a very solid and well-built keyboard, with a very clean, standard design. What can not be stressed enough is just how precise the MX Red switches feel compared to many other keyboards that have used the same keys. There is no hallow thump when bottoming out, there is no flex in the PCB; it’s a very well-built keyboard where mechanical stresses have been alleviated. It’s the quietest Red switch keyboard I’ve come across so far. The plastics are solid, the board sticks to the desk quite well, and the underside cable routing means you can have the cable trail off to either side of the board, instead of around the back. The software is typical SteelSeries – well formed, rich options, and again, very clean and uncomplicated. The backlight is even, but limited to blue only (although you can just turn it off if you wish). At a price that is common for a mid-range mechanical gaming keyboard, the $99 APEX M500 is certainly a winner for those that want to keep things simple, yet provide opportunity for customization in the software. While cheaper mechanicals exist, often with Kaihl switches, SteelSeries refined their design and made one of the best MX Red boards I’ve come across so far. In fact, this board will now be my main reference for what an MX Red should feel like. Couple this with the intuitive software, and SteelSeries is deserving of our Editor’s Choice award – even if there isn’t a palm rest. Best feeling CHERRY MX Red keyboard so far. Very clean and uncomplicated software.